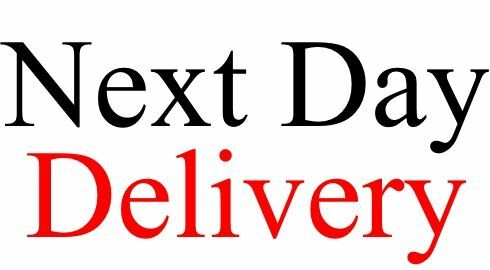 Have your order delivered Next Day for an extra £6.50 Mainland England. Our standard postage charge is £3.25 (FREE over £15.00) which will be automatically added to your order, by adding this extra charge to your order the total for Next Day Delivery Charge will be £9.75 (or £6.50 if over £15). This is a Monday to Friday Delivery only UK. Your order will be sent either by Royal Mail Special Delivery. 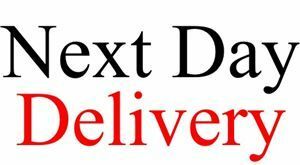 Normal Next Day Delivery times 7.30am to 1.00pm, they require someone to sign for the parcel. Orders MUST be placed before 12.00 noon on day of despatch.